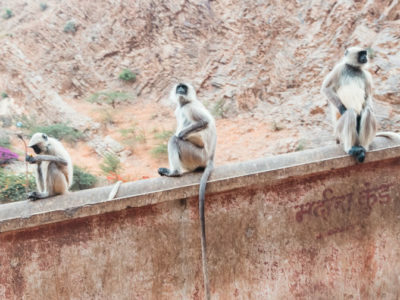 We flew to India for a two-week trip that was mainly in the Rajasthan area. The trip was planned by our friend Noam (Noam’s website) who works planning private trips to India. 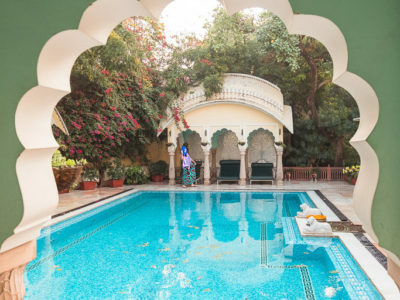 We cooperated with Noam because we knew that a two-week period was considered short for a trip to India, and we decided that this trip will be in a different style than we’re used to. We were accompanied by a private driver throughout our entire trip, various guides at each destination we reached and high quality, 4-5-star hotels. The previous two times I had flown to India I brought a backpack, but this time we traveled with suitcases. 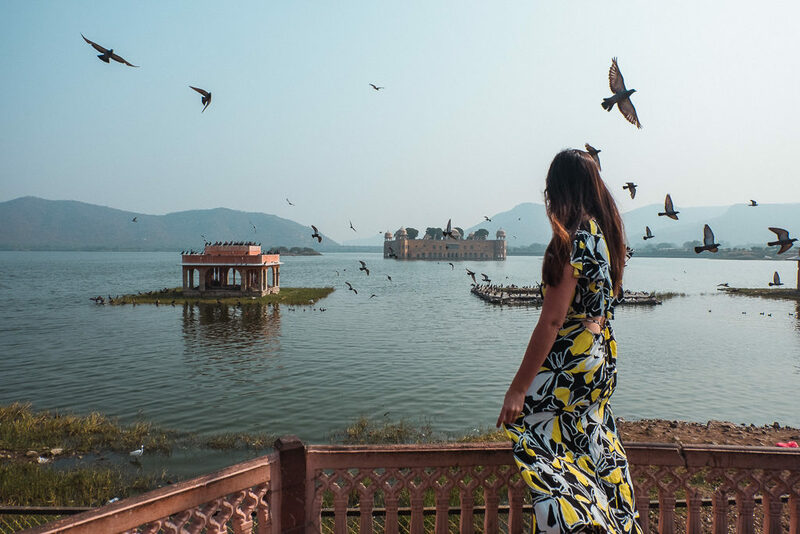 No doubt this is a very different trip from a backpacking trip to India, but I can tell you that we had an amazing time – Each kind of trip has its own charm. 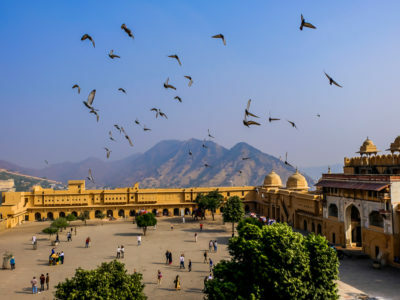 Jaipur is the capital of the state of Rajasthan, northwest India, which is located in the eastern part of the country and is the most populous city in Rajasthan. The city was founded in 1727 and is considered a popular tourist destination and commercial center. 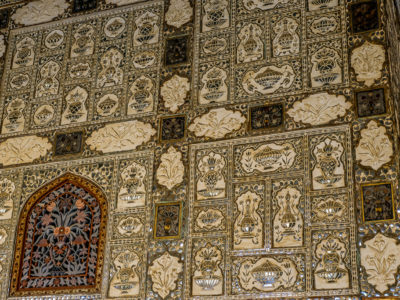 Jaipur’s famous arts and crafts include jewelry, stone, marble and ivory carving. We came to Jaipur from Agra, with our private driver, and the ride lasted about 5 hours (Including stops). 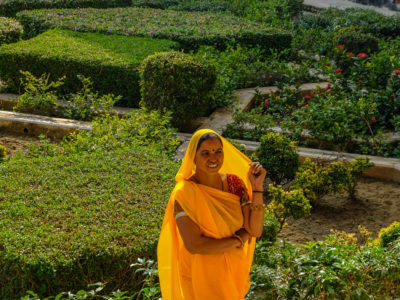 You can take a train from Agra (A 4-hour ride). 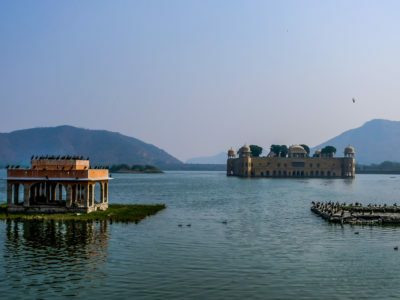 You can also come from Pushkar (A 2-hour drive). The ride from Delhi is longer and should take around 6-7 hours by car (Including stops). 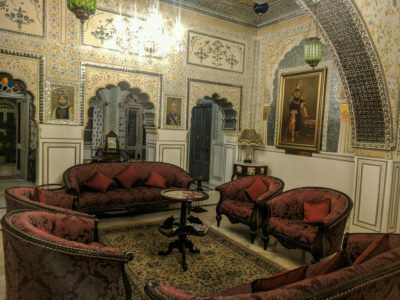 We stayed at the beautiful Alsisar Haveli hotel. It was originally built in 1892 as a Christian house. Today, it has been converted to a legacy hotel. 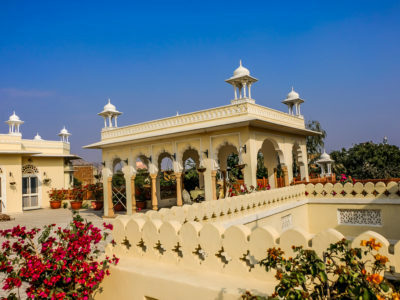 It’s a 5-minute walk away from the pink city, with its surrounding wall, and a 2-minute drive from the highway. Its design is very impressive and is reminiscent of a palace. It has a well-tended backyard and a pool with tanning beds. There’s a varied buffet breakfast and the option for hotel buffet dinner. The hotels disadvantages: We personally felt that the service there wasn’t as good as at the other hotels on our trip and I recommend asking for a room with a double bed, as we were assigned a room with two beds at first which wasn’t as comfortable. The room we got was on the third floor with no elevator, so if you’re coming there with children or have difficulty going up the stairs, I suggest letting the hotel know in advance so you can have a room on a lower floor. 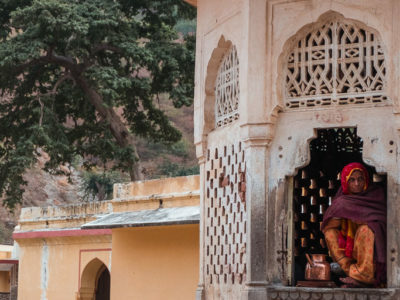 Unlike Agra and Pushkar, in Jaipur I felt there was the most to see and to do. I recommend staying in it for at least three days. 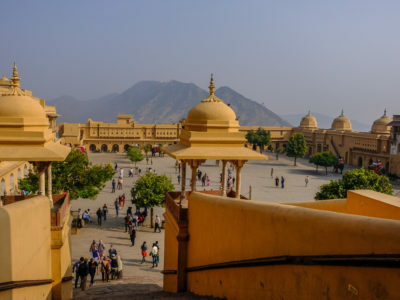 Also known as Amer fort, it is one of the main attractions in Jaipur. It was built with white marble and red sandstone and attracts attention from far away. Since it is on a hill it is easy to see from a distance (if there is no fog) and offers a panoramic view of the city. 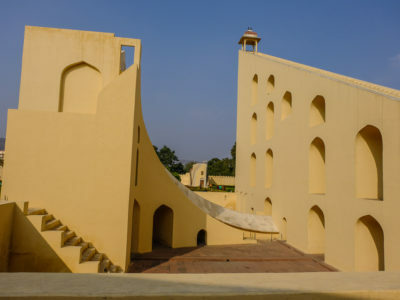 The fortress shows the glory of ancient culture with a mixture of Hindu and Muslim architectural styles. We arrived there in the morning and there were many people there, but not at a level where you could not walk around. 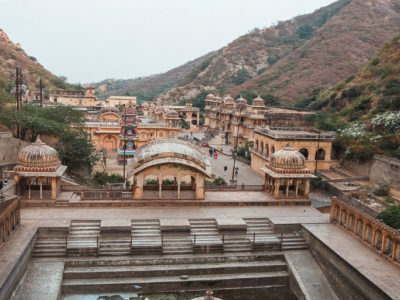 We arrived there by car with the guide, but there is also the possibility of going up to the fortress on an elephant (I’m less in favor of it, as it is an industry abusing animals kept there under harsh conditions), and also on foot, organized tour or rickshaw. Here too I recommend taking a guide because the fortress is large with lots of stories behind every building and room. 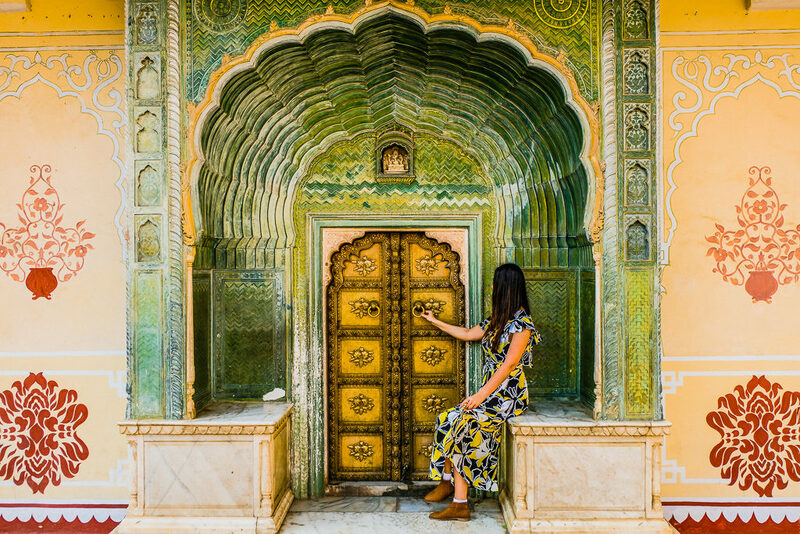 City palace is one of the most beautiful and colorful places in Jaipur. 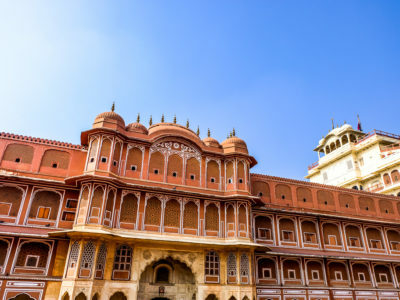 The city palace is the place where you can see fortresses, gardens, palaces, courtyards, etc. 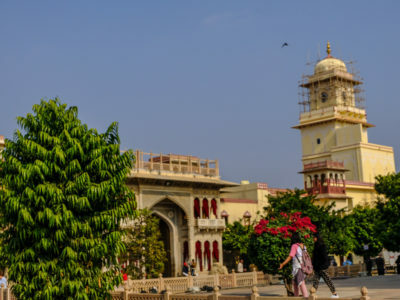 This place is an amazing mixture of Mughal architecture and Rajasthan. 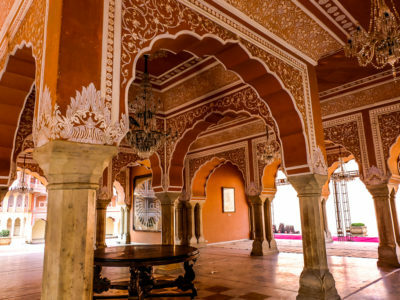 It is a huge complex built by Sawai Jai Singh II and occupies at least one seventh of the pink city. We came there with a guide and I recommend you look for a guide or tour there, because this place really is huge, there is a lot to see and tons of interesting history about it. The royal family now lives there and if the flag is raised – it means that it is there when you visit the palace. There is an area that’s rented out for events and so you may see wedding preparations when you visit there. There are doors with the most beautiful decorations I have seen. I recommend you come in the morning when it’s less crowded there, so you can take pictures without too many people getting in the way and without having to wait in line. There are also museums that show collections of past dresses and an impressive museum of swords and weapons. This palace will give you an idea about the time period. I have to admit I got a bit nervous at this temple. It has a ton of monkeys and they fight and run around, which spooked me a bit. The place also has garbage strewn on the floor and isn’t properly maintained, but… Despite its obvious shortcomings, it is also very special and I have never been to such a temple in the past. The colors are very beautiful, and the truth is that we got great pictures there (if you are a photo enthusiast, this is a good destination for pictures). Admission is free, but you have to pay for every cell phone or camera. The cost is symbolic, so it definitely won’t prevent you from photographing there. The temple is located 10 km away from the city and we got there with our driver. You can take a taxi or a rickshaw there, as well. This temple is actually a complex of many temples and one of the special attractions there is a natural stream running down the hill during the spring. The fountain water is considered sacred and pilgrims come there specifically for them. 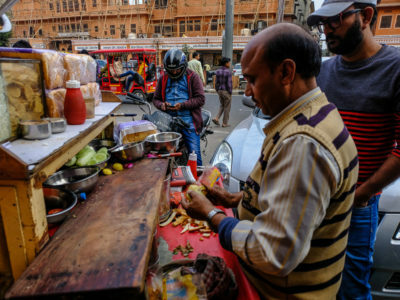 One of the things we like most on our trips is trying as much local food as possible and usually we do food tours, as they allow us to taste lots of local food and usually on these tours we go through selected places with really good food. 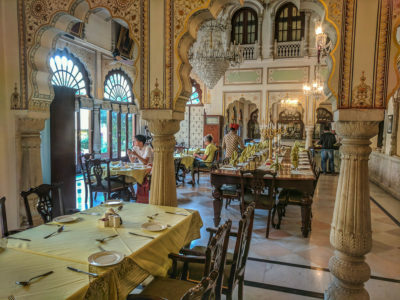 In Jaipur, Noam suggested that we take a food tour and we, of course, were enthusiastic about the idea. 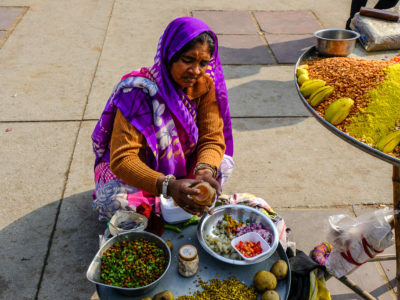 Indian food is one of our favorites and we do not shy away from street food, but rather the opposite, for most of the trip we preferred to eat at street stalls or in local small restaurants rather than at touristic restaurants. 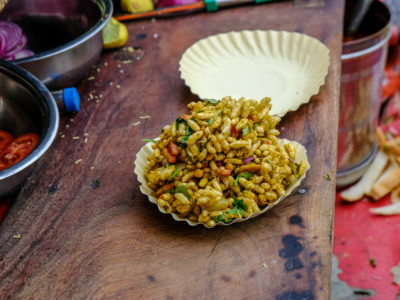 When the tour guide arrived, he asked us what we wanted to try, and we told him, “Take us to places with the street food you like best and also, we do not like sweets” and so it was. We passed through lots of stalls on foot and in the car. He took us through hidden alleys and we got to places we never would have found on our own. 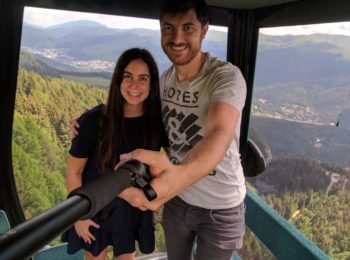 We booked the tour through Noam, so I have no information about the guide but if you arrive independently and want to do such a tour, I highly recommend searching for recommendations about a good local guide. 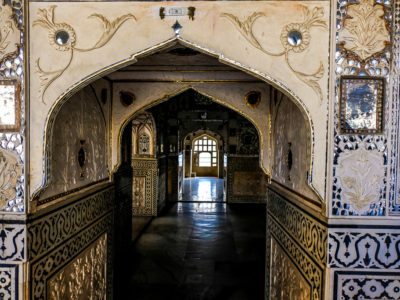 It’s important to me that you’ll be aware that such an option exists, and Jaipur is an excellent city for such a tour. 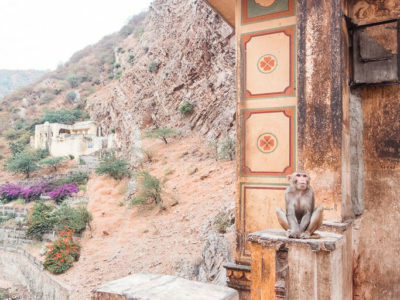 A lookout built by Maharaja Sawai Jai Singh II, who was a brilliant astrologer that loved to study philosophy, astrology and architecture. 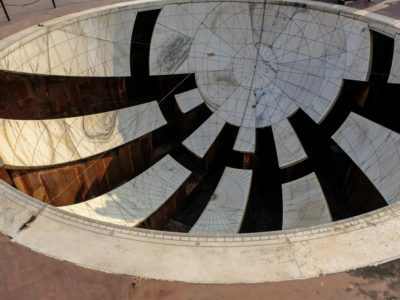 Jantar Mantar is actually a name given to a series of five great lookouts, built in five different cities of India. 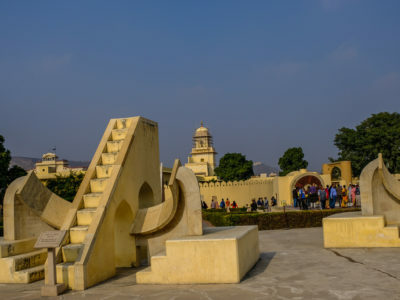 We visited the observatory in Jaipur which is the largest and was built in the early 18th century. 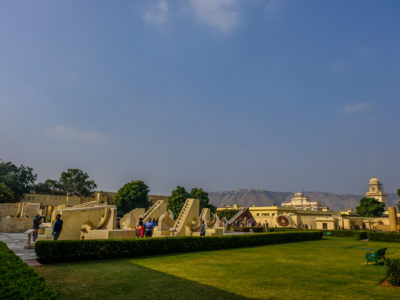 The Observatory is an example of the scientific progress of medieval India and you will find a number of instruments there, used to measure time, azimuth, solar rejection and more. Most of these devices are actually large structures. The reason they are built on such a large scale is to allow accurate readings. Anyone who is interested in this field will surely find this place very fascinating. 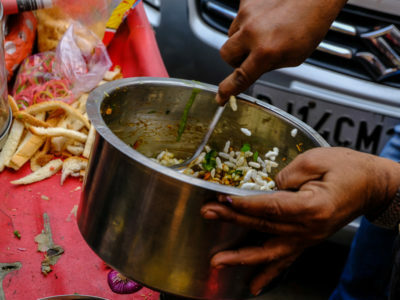 By the way, if you’re in the street food section at this location, there was someone who sold a dish consisting of chickpeas, tomatoes, onions, a lot of spices and lemon juice, and it was a great dish!! So definitely worth a try (map). Built in 1799, this is a five-story building in the shape of Lord Krishna’s crown, with 953 windows and reminiscent in shape to a honeycomb. This palace is visually impressive and the truth is that we just photographed it from the outside and did not go in, because our guide said that there is nothing interesting to see inside, and that it looks like a regular building. You’ll definitely see it, as it’s next to the city palace. 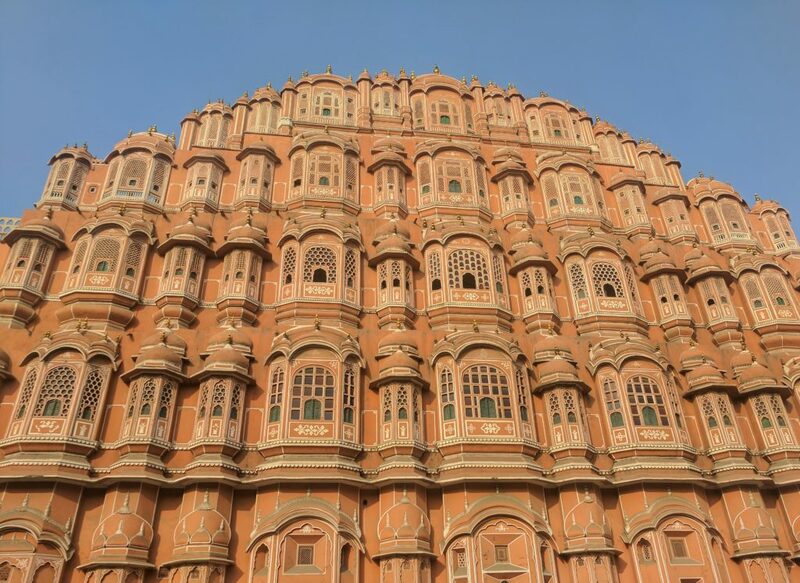 Jaipur is known as the Pink City, and when you get there, you will quickly understand the logic behind the name. Every building in the historical center surrounded by the wall is pink. There are only a few exceptions. Don’t expect to see pink in terms of the rose pink we know, but more of a brown orange shade, it is called terracotta pink and in history – this color represented blessing and hospitality. This color is significant in terms of the city’s heritage and is enforced by local law. I recommend you just go there and explore the city on foot. Keep in mind that it is full of people and the streets are narrow, so you have to be patient and come when you aren’t short on time. 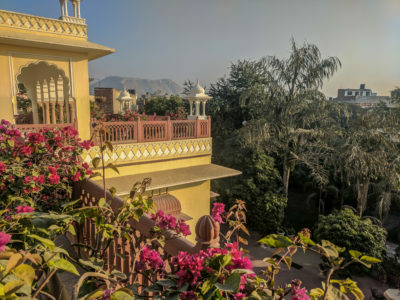 Within the pink city there is the Palace of the City and the Palace of the Winds. There are many street food stands, restaurants and souvenir sellers. In addition, it is a beautiful area for photographs and it attracts many photographers there. In Jaipur we went to a real Bollywood movie. 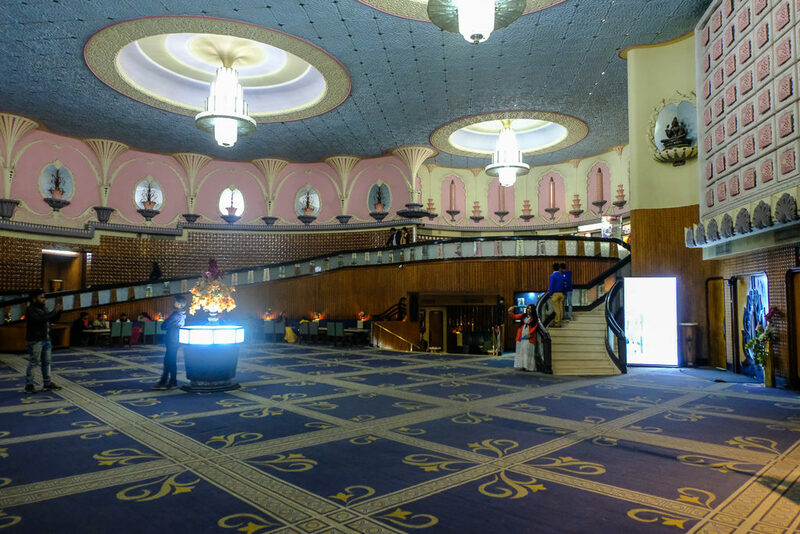 The cinema hall itself was of a high standard and with all sorts of snacks of popcorn, sweet corn and more. The truth is that I was expecting a movie with Indian dancing and singing, but it was an action film. The film was in Hindi but although it was impossible to understand what the people were saying, it was still possible to follow the plot. We got there exhausted after a long day of travel, so we decided to leave at halftime, but this is definitely an experience worth trying during a visit to India.